No Fenders -Formula 1, IndyCar and A Whole lot more..: Top 10 Formula 1 Crapwagons? Fortunately for Mwah, as Y’all know by now, my eyesight is CRAP! And hence, I cannot really make out those atrocious looking Ant Eater noses which have become de riggour in F1 for the past two seasons. Cannot recall which exact model it was, but there were some pretty ugly looking chassis during the early 1970’s as the proliferation of Airboxes just grew ‘N grew - overshadowing some of their respective drivers before the FIA mandated low Airboxes in ’76. The Team Willy “Walrus Tusk” Car seemed quite obnoxious with its overly wide, girthish protruding front nose pillars, which always made me think of a lumbering Walrus, and hence my naming it this, albeit I’m apparently not alone on this thinking. Although probably not its worst car, the storied Woking Constructor surely hit a very low point indeed with the lackluster MP4/9, most notably to being powered by the uncompetitive Peugeot V-10... Really McLaren, did you think that this engine would be competitive? As the Peugeot ‘lumps were never known for their reliability. As I seem to vaguely recall Martin “BillyBob” Brundle having a bunch of his ‘lumps go KABLAMOE! Flush on the heels of Colin Chapman’s all conquering and revolutionary ground effects type 79, which Mario Andretti utilized to capture the 1978 F1 Drivers title, the team’s designers under Chapman’s tutelage sought to exploit the ground effects theory to its ultimate capability by building the Type 80 chassis with single flowing bodywork from nearly nose to tail which didn’t require any wings! Yet the car’s ground effects were so stunning that they were basically overpowering the chassis and causing severe porpoising which couldn’t be cured, to which ‘New-boy Carlos Reutmann refused to drive the car! The Haas/Force F1 project with major American backing from corporate giant Beatrice, Lola branded chassis designed by Neil Oatley, John Baldwin and Ross Brawn, an exclusive three year contract for Ford Motor Company’s brand new V-6 turbo’s along with ex-world champion Alan Jones coming out of retirement surely looked like winners on paper. Yet forced into utilizing the little engine that could, privateer Brian Hart’s underfinanced straight four cylinder single turbo lump during its debutant (partial) season while awaiting the overdue Ford TEC V-6 turbo lump, Jones only managed to run three races, making the team’s debut at Monza, Italy, but retired from all three events. Yeah, I know this is the car that garnered Ayrton Senna his first brief flash ‘O fame as a future world champion upon finishing runner-up to future teammate and arch nemesis Alain Prost in the somewhat controversial Monaco Grand Prix. Not to mention Senna scored another two podiums with the chassis; third places at Silverstone and Portugal. But while I should have reveled in Honda’s decision to go totally devoid of sponsors ‘Deckel’s (decals) mucking it up, this car just seemed to be absolutely lost in the hinterlands and I’m sure that ‘JENSE (Button) was loathe to drive I-T! Not to mention the fact that it was so bad that Ross Brawn shifted the entire team’s focus onto the forthcoming ’09 design, which ultimately became world champion as the Brawn BGP001 after Honda had thrown in the towel! Apparently, this chassis’s engine was ahead of its time, as ex-Ferrari engineer Franco Rocchi designed a radical W12 - which sought to have the power of a traditional V-12 yet utilize the space of a more compact V-8. Yet, the team truly was behind the eight-ball from the outset, having opted to utilize a year old stillborn FIRST Racing chassis, which had failed its mandatory FIA crash test the year before, not to mention having been designed for the mid-range conventional Judd V-8, and hence Gary Brabham was so despondent over the hopeless project that he quit after just two races! 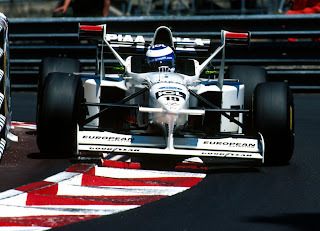 For Mwah, the ’97-98 x-wing mirrors chassis, including the Tyrrell 025-Ford - which were the innovators of this technology were quite hideous and this is one of the few good thingys MAD MAX Mosley did, by outlawing them in ’98. Hands down, without a doubt, my choice for most hideous Formula 1 chassis of recent times is that most ugly looking Warsteiner Skirt Car, even in its gold livery, its wingless shape along with vacuum cleaner side skirting simply looks horrible to me! Very informative post on various car racing models especially Ferrari.Gives an in-depth specifications including engine make,design and year in which it was invented.